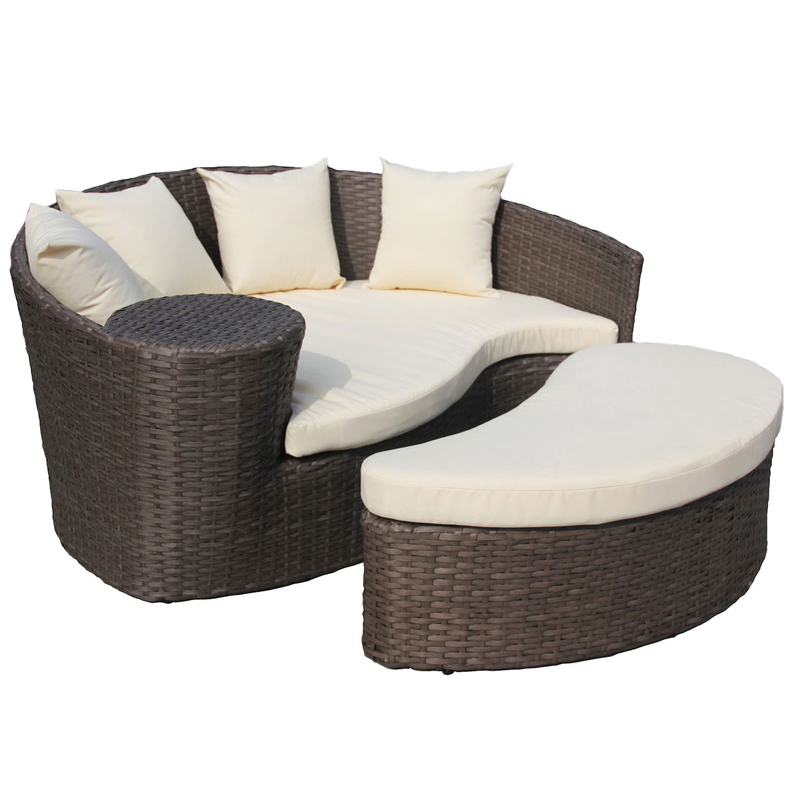 This curved rattan sofa comes complete with a separate footstool that can be used to interlock to create a full size day bed or can be removed and used as additional seating. Its built in table is convenient for holding drinks or a book. 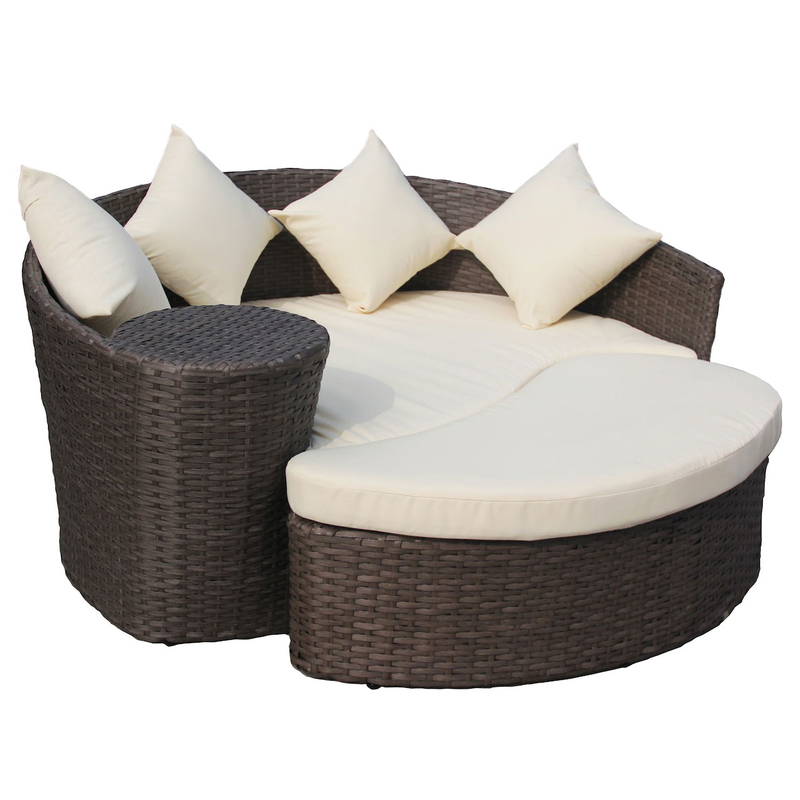 The showerproof cushions are comfortable and practical.